Do you want an experienced hair and makeup artists on the job of making you look stunning for your special event? If you are looking for an Experienced Beauty Therapist, then look no further. We offer Waxing, Brow Shapes & Tinting, Manicures & Pedicures, Spray Tanning, Makeup Consultations, Makeup Lessons, Makeup Application and so much more! Voluptuous Devine has many years’ experience in Hair and Makeup packages for Weddings, School Balls, Photo Shoots or any Special Occasion. We have been known for our flexibility and customised packages for any of our services… all it takes is one phone call! 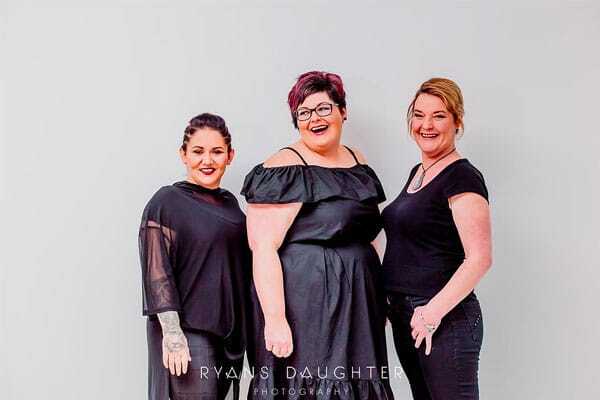 Voluptuous Devine is a well-established business, we have been servicing the Waikato and surrounding areas helping generations in families look great and feel better. We specialize in all aspects in helping make your day magical no matter what event it is. While being mobile and being able to provide our services in the comfort of your own home. Voluptuous Devine has opened an at home beauty and makeup salon to give you the additional option. Book an appointment! Treat yourself to our Beauty Services. Our team will work with you to make you feel amazing and look fresh! No matter what the occasion is we can help. Check out the services we offer. Kylie-Ann is so amazing! I never ended up doing a trial with her, my schedule just did not allow me to, but she had such wonderful raving reviews that I trusted it would be ok. And all her reviews were so right! I had requested her to do my indian bridal make -up and reception party ,She made me look and feel so gorgeous, and had the placement of jewellery and accessories perfect Even before I met her, through all my email exchanges with her, she was so professional and so nice! I highly recommend using Kylie-Ann you will be so happy that you did! Kylie-Ann is my go to for all things hair and makeup when I have an event/Photo Shoot or just want to look great on a night out. She is incredibly down to earth and really knows what I want before I even do. I love how she ensures I have a different look each time but always look flawless. I always get comments from people at how amazing I look everytime Kylie-Ann does my hair and makeup. I would 100% recommend Kylie-Ann to anyone who is wanting a professional, flawless look that will make them feel and look AMAZING. Kylie-Ann is AMAZING!!! To start with I had a spray tan with her and she listened to my wants and desires and gave me the most glorious tan. The cover was even and the colour perfect. I didnt go orange and the tan lasted for nearly 3 weeks. But this was only the start. Kylie-Ann helped with the prepping of my wedding dress and my make up. She took the shape and colour of my eyes into consideration and used a colour to match my dress and accessories. She understood that I love certain aspects of my face (a mole in particular) and didnt cover it up. She also gave me a touch up kit to use throughout photos. In regards to my hair Kylie-Ann continued to compliment my colour and although the style was simple the flower crown she created was EXTRAORDINARY! When Kylie-Ann was helping to put my wedding dress on she took amazing care of the gown. She laid each item out in order of putting on and she was so soft and gentle with her approach to helping me dress I felt like a princess. She ensured my corset was tied correctly, she made sure my hoop was positioned the right way and she made darn certain that my “girls” were in (thats a “big” issue for me). And all the while she was fun and energetic and helped to keep the nerves down. I cant thank her enough for allowing my hubby and I the opportunity to have AMAZING wedding photos and for helping me feel like I was the most gorgeous woman in the world.